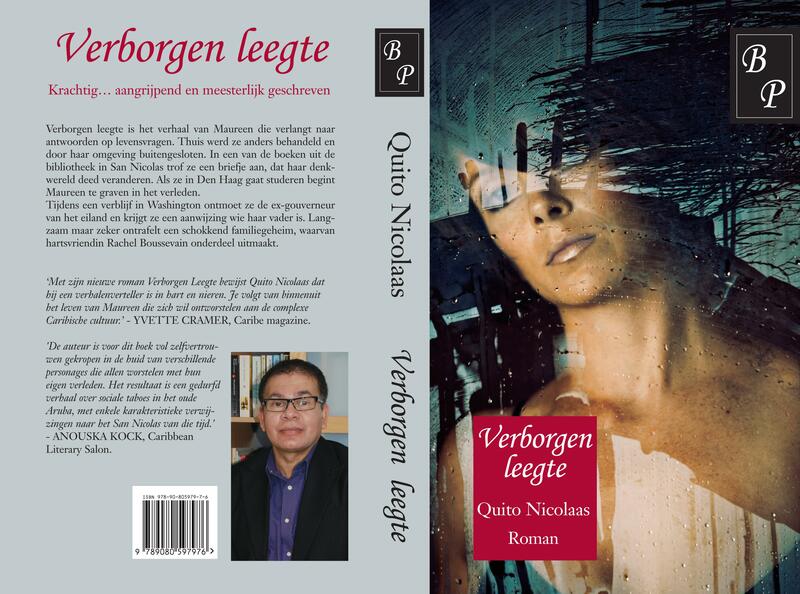 The launching of the new novel by Quito Nicolaas Verborgen leegte last Friday 26 november at the Arubahuis was a successful afternoon. 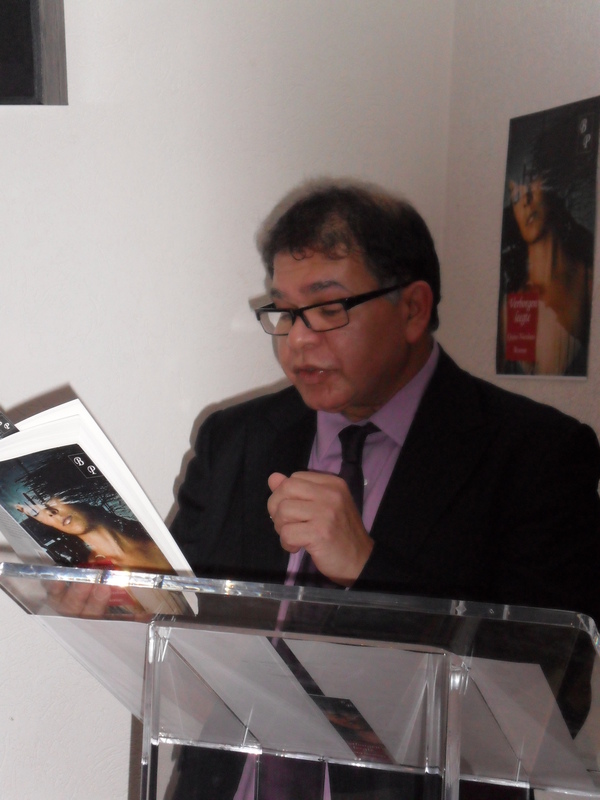 In his speech Quito spoke of the process of writing this novel that took him a few years to complete. 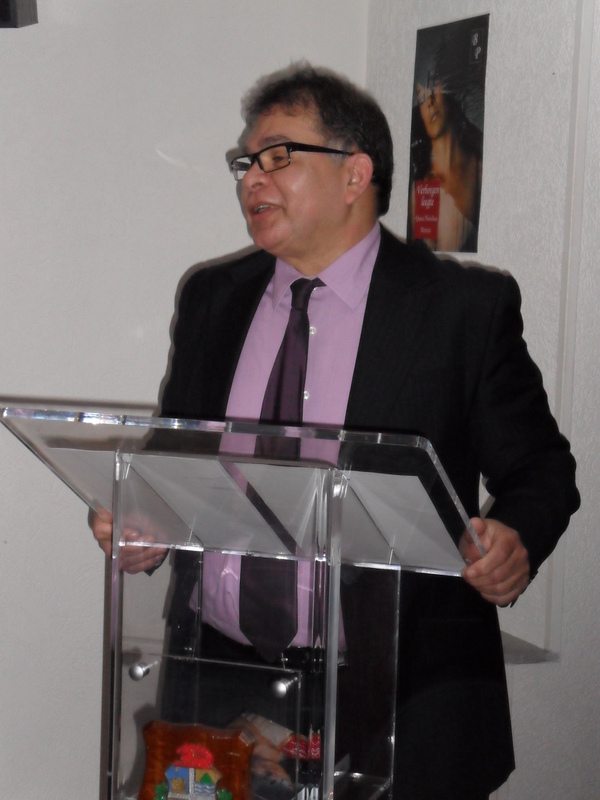 Furthermore he stressed the importance to promote young Aruban writers in Holland. The Cabinet could play a part in this he said. 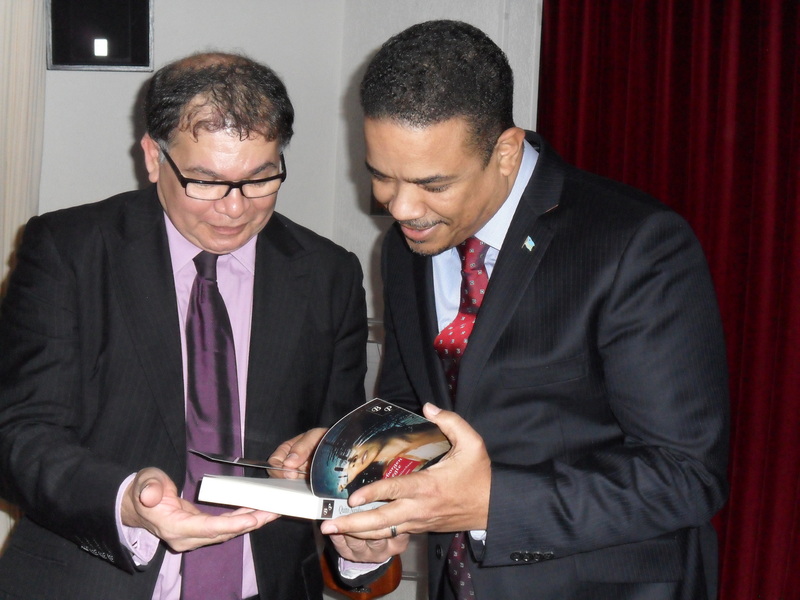 He read a fragment of the book, whereafter a copy of the book was presented to the Cabinet of the Plenipotenciary Minister of Aruba mr. Edwin Abath. 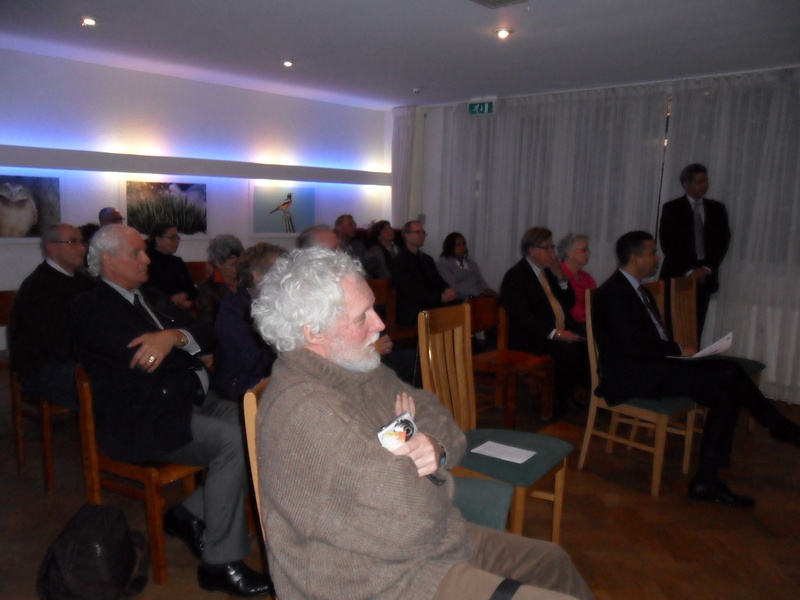 Quito’s old primary schoolteacher gave an interesting insight of the author as a young inquisitive boy during his primary school years. 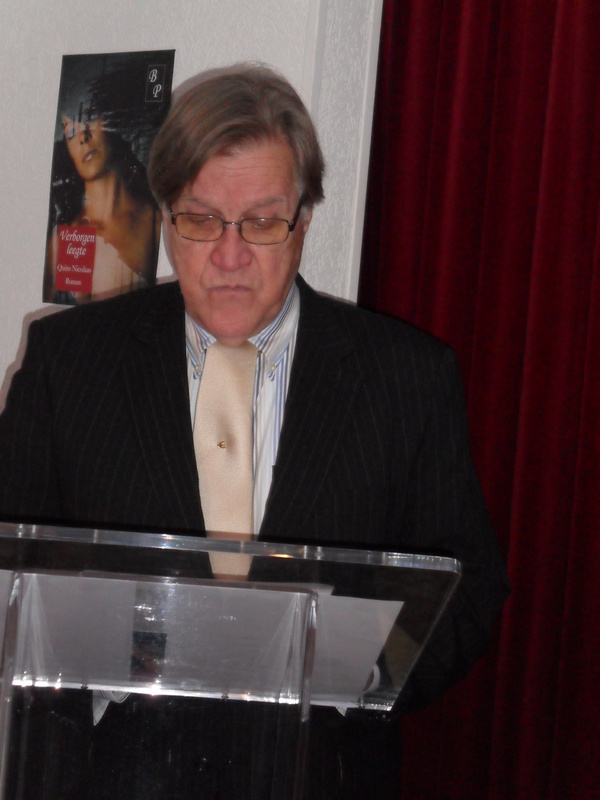 Also about his experience teaching young children a foreign language given that everybody spoke only Papiamento. 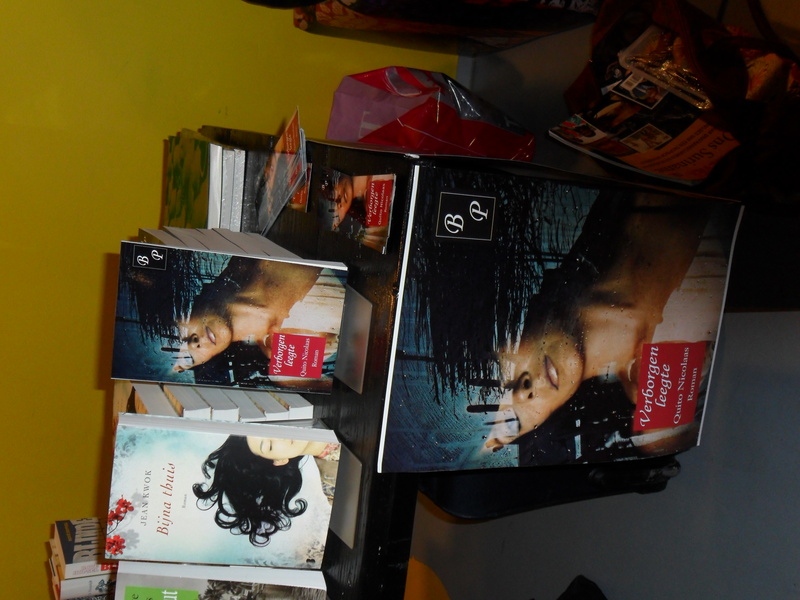 Finally Irene de Cuba of BookIsh Publishers told about this new publishers house and thanked everybody for a nice afternoon. 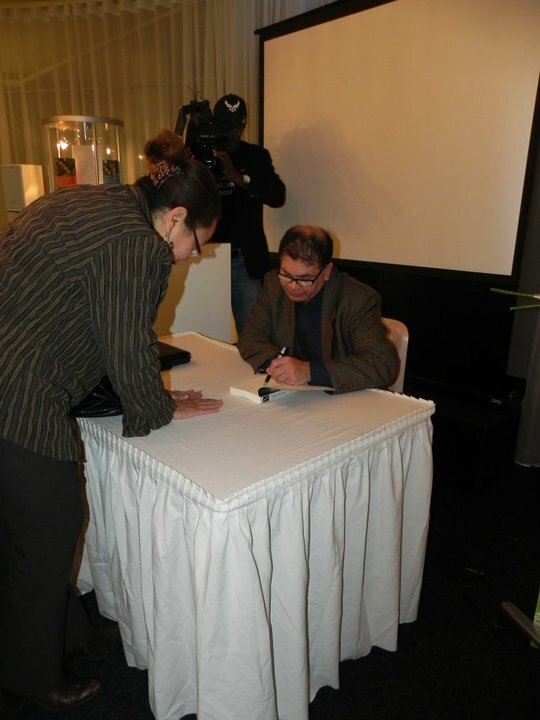 Followed by a signing reception with the author. 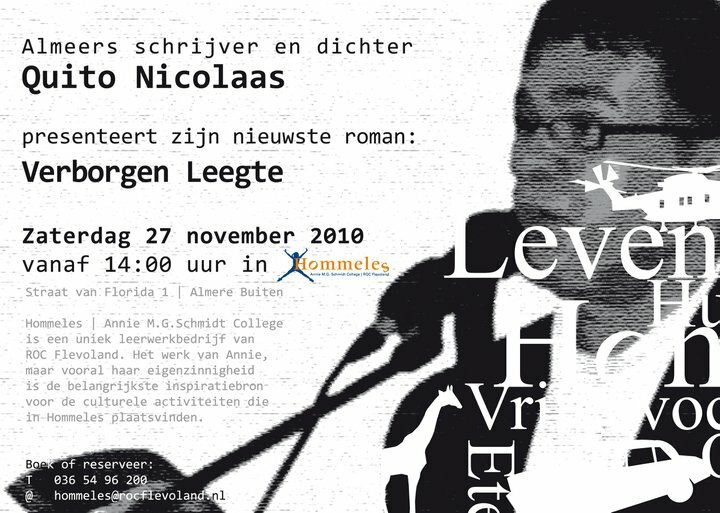 Quito Nicolaas will be signing his new novel ‘Verborgen leegte’ at the Aruvision Music Festival this afternoon as of 16.00-19.00 p.m in Leiden. 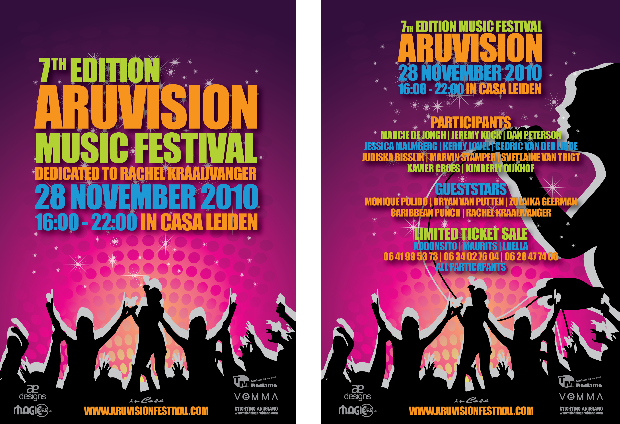 Aruvision Music Festival is a yearly songfestival where talented Aruban singers participate. This year it is dedicated to the Aruban singer Rachel Kraaijvanger. 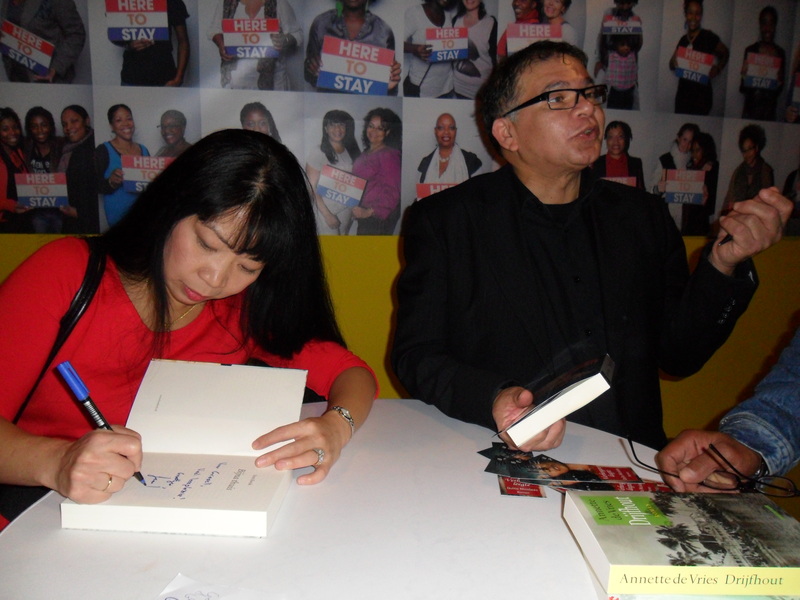 Quito Nicolaas, Jean Kwok and Annette de Vries elaborated last Sunday on their latest novel during the literary evening at the Black Magic Woman Festival in Amsterdam. 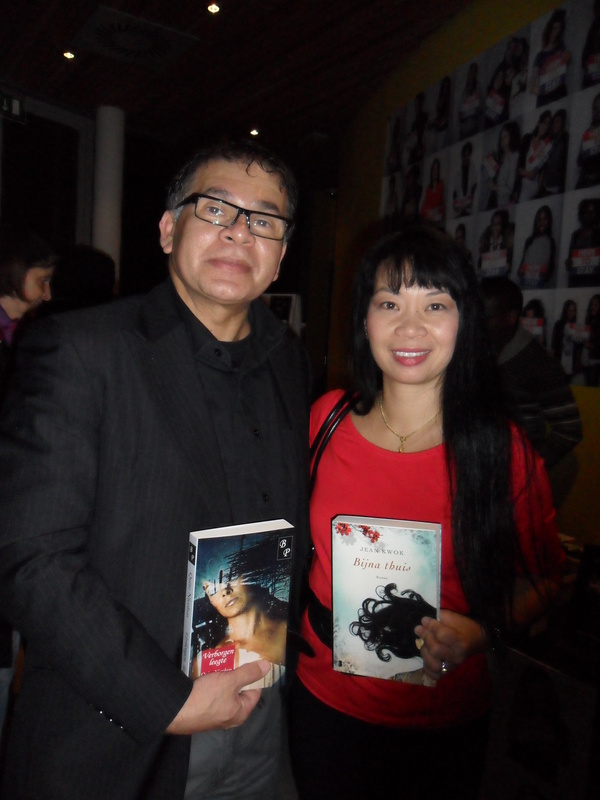 Karin Amatmoekrim interviewed the authors, also on themes regarding the social-political developments in Holland and the role of writers in the social context. 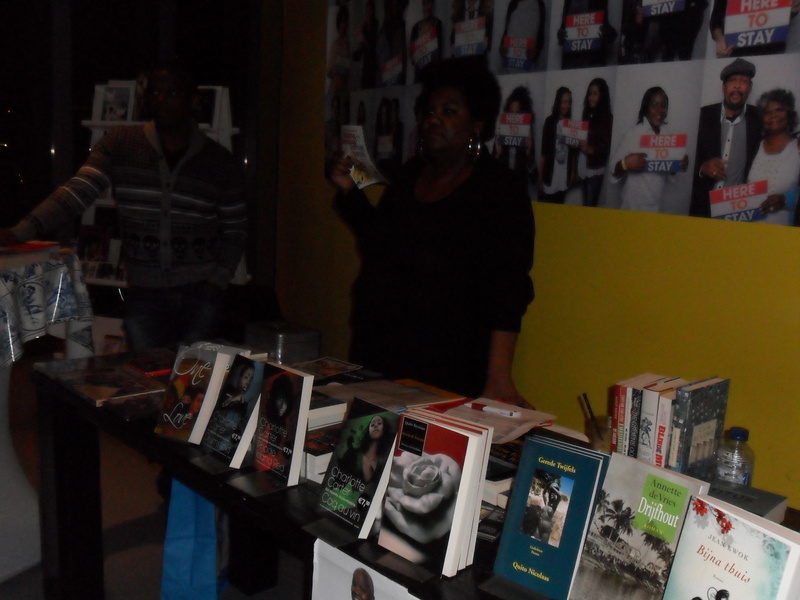 The authors read a fragment out of their book. Raja Felgatas’ spoken word performance on a well known popular politician was hilarious. Manouschka Zeegelaar Breeveld and Orville Breevelds’ musical interlude was inspired by the novels. 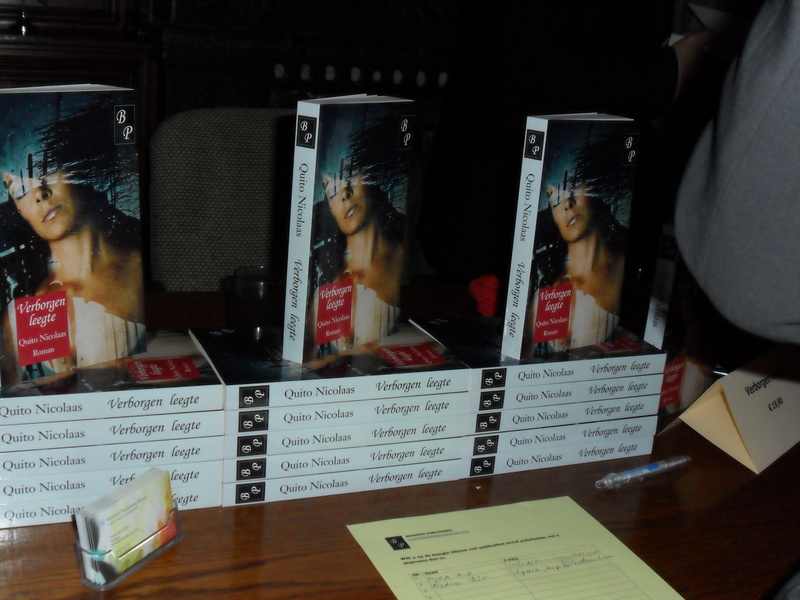 A signing session followed. Be sure to visit this blog for more information. 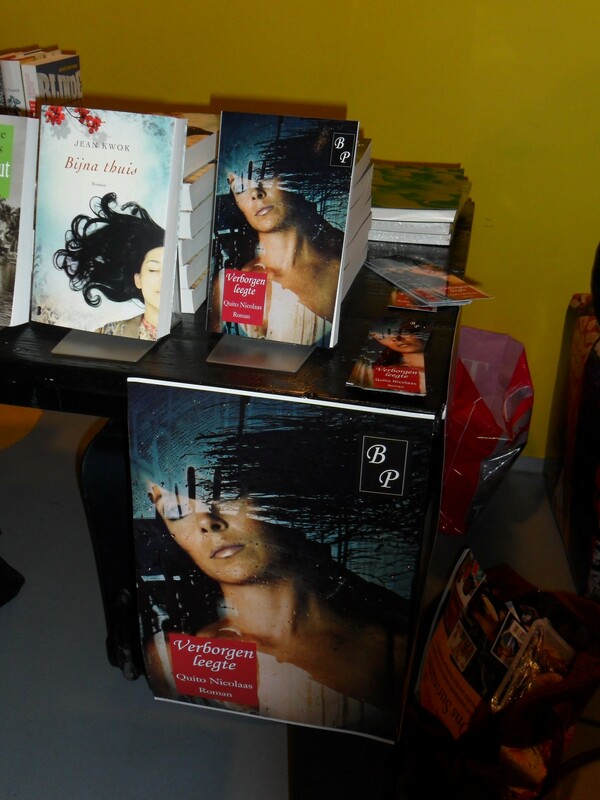 Verborgen leegte is the story of Maureen that longs to get life’s big questions answered. At home she is treated differently and excluded by her surroundings. Her thinking changes when she discovers a note in a book in the library in her hometown of San Nicolas. 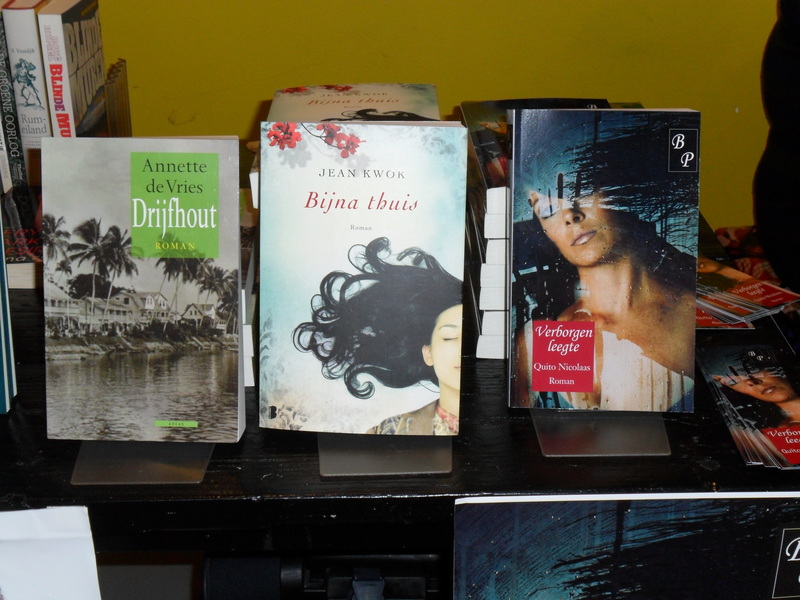 When studying in The Hague she starts to dig into the past. During a stay in Washington she meets the former governor of the island who gives her a hint who her father is. Slowly but surely she unravels a shocking family secret that involves her best friend Rachel.